Originally appeared oon his website, “A Travel Painting Blog“. Reprinted below without the photos. 1) Michael, you have a diverse background in art, including sculpture and painting. What made you decide to start travel painting and when? Thanks, Tom. As you say, I have made many different kinds of art. I think the variety has been good for me. It has lead me to a deeper appreciation for all forms of art making and an understanding of an artist’s process as she or he made a piece. As for travel painting, I was forced into it by my circumstances. I grew up with western landscapes all around me and have done some plein air oil painting, but working with Celebrity Cruises is what pushed me 100 percent into watercolor travel painting. I have worked for Celebrity since mid 2007. As a crew member aboard a ship, I traveled to many places. Ship fire regulations prohibited me from using oil paints and solvents, so I took my trusty watercolor kit. It never let me down. Most of my paintings were done in ports during the brief times I was able to get off the ship. 2) I notice that you tend to work small, the focus lending it self towards convenience and capturing your experience quickly. What, for you, are the benefits of working in this manner? I think there are two benefits from working small, one practical and the other artistic. I prefer to work large, but my circumstances made it impractical. It was much simpler to have an easily portable kit that did not weigh me down if I wanted to take a long walk in a port, yet was able to provide me the capability to sketch and paint whenever I wanted. My motto soon became: compact is convenient, convenience is good. Everything fit into one or two pockets in my cargo pants. The artistic benefit was that the small format freed my mind from the investment that I had in large-scale works. As a result, I painted often and fearlessly, which lead me to a consistent style and better painting (in my ever so humble opinion). 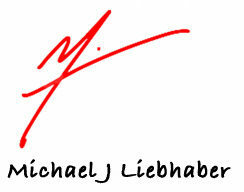 3) On your web page, www.michaels-travels.com, you have travel paintings from all over the world. Is there a specific trip or trips that stands out more than the others? Every place I visited afforded me the opportunity to draw, and each has a story, whether I painted there or not. Most places are memorable because of the people I met or the friends I was with, but there are places that I appreciated solely as an artist. A very incomplete list of some of those places are Tallin, Estonia (my first sketch in my travels overseas); Arles, France (I drew the bridge that Van Gogh painted & stood where he would have stood to paint Café Terrace at Night, both awesome experiences); Saint Petersburg, Russia (with images of my pencil falling into a canal & the best vodka in the world), intricate, beautiful mosaics in the ruin of a Roman house in Southwestern Cyprus; the picturesque towns of Villefranche, Alesund, and Amsterdam; enigmatic Istanbul, where the cityscapes and markets are a feast for the senses; and finally, everywhere and everything in Florence. 4) Tell us where you’re from and do you travel and paint locally? I live in Scottsdale, Arizona, USA. I was born in Wisconsin, but my family moved west when I was little. I grew up in Tucson, which is my adopted hometown. Since then, I have lived in nine states and traveled to half the planet. I do not cruise on a regular basis now, so I travel around Arizona to paint. I also travel internationally when I am able. 5) If so, what are the major differences? Do you work in different mediums? Does your kit vary depending on where you’re going? I prefer oils, but with today’s travel hassles watercolors (or gouache) seem to make the most sense. I use an old folding watercolor kit with 10 dry colors. I take it everywhere, as I can easily mix a wide range of colors from a small set. Another benefit is that dry colors, as opposed to tubes, go through airport security around the world. Other things in my “kit” are a good sized brush, two pencils, a sharpener, and eraser, two pens, a small plastic container (for water), and a 5×7 inch watercolor pad. You can see my whole kit on my website. The only change I make is when I carry my backpack. Then I’ll put in an 8×10 inch watercolor block and carry a bottle of water. I only carry water if it’s a warm day or if I know I won’t be around a source of water. I’ve never failed to have a source of water, or other liquid suitable for painting.6) What do you enjoy about travel painting? As much as I love the desert southwest, I miss international travel painting. Mixing international travel and painting is fun, a natural high. My career with Celebrity taught me that travel painting is not just about the painting. I need the travel. In the past, I traveled to a location to paint. Now, I paint while I travel. Big difference for me. Everywhere is a “location”. I enjoy where-ever I am and I can paint there, too. Travel painting also stretches my personal envelope. I do not consider myself adventurous or gregarious, but I like to going places and seeing things. Meeting people is a by-product of painting on location. Painting is a good, non-threatening way to meet people. People of all ages and occupations (e.g., locals, tourists, school children, waiters, police) have come up to me. One of my more memorable conversations was with a young French woman as I was drawing the Villefrance waterfront. She sat down and we chatted for about ten minutes, me in English, she in French, about “Je ne sais pas”. What fun!